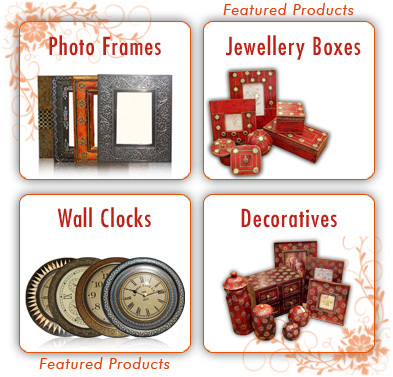 At ACN you'll find finely-crafted jewellery boxes, Photo Frames, Decoratives and other gifts. Our new stocks, Designs and product range always something new to see at ACN Exports. Everyone's taste is different, so we source items from a wide variety of products range to ensure we have something for everyone. This means a huge range of eye-catching accessories, arranged so that it's easy to find just what you're looking for. And if you can't find anything that's 'just right' we can custom-design something that suits your taste.